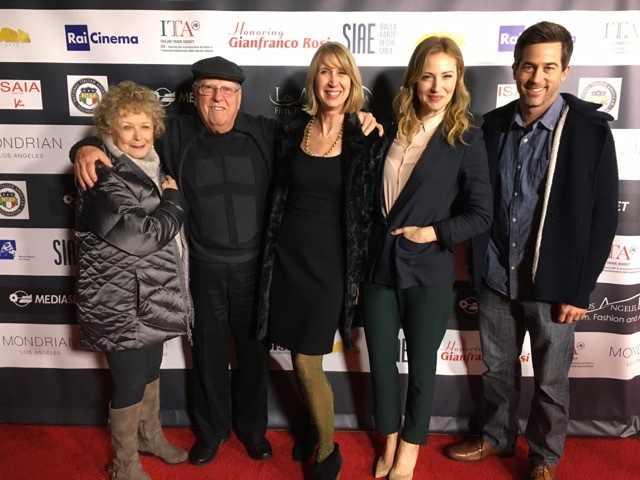 February 24th 2017, the Improv class was invited to go see the world premier of the film “in Search of Fellini” written and produced by our friends Nancy Cartwright and Peter Kjenaas. Both alumni Beth Riesgraf and David O’Donnell lit up the screen with their Fellini-esque characters! It is a wonderful story and beautifuly told by director, Taron Lexton. Not to mention it is based on true events! A must see! In theaters soon.